Want to support websites while blocking their ads? Flattr Plus hopes to make it easy. AdBlock Plus is teaming up with Flattr to start funding the sites whose ads it’s been blocking. 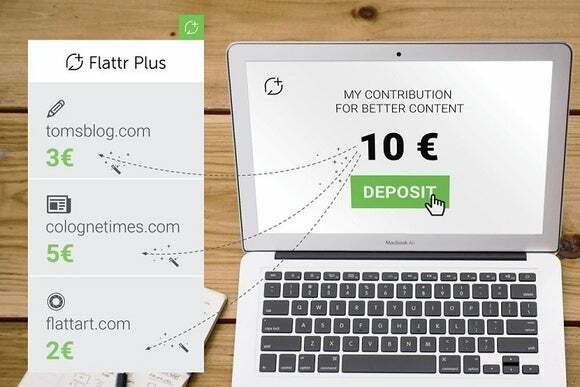 With Flattr Plus, users pay a monthly subscription that’s automatically distributed to the sites they visit. The user decides the subscription amount, and the Flattr Plus browser add-on determines how to distribute the money, using an algorithm that measures website engagement. The company plans to skim 10 percent of the funds for itself. At least that’s how it works in theory. Web publishers will have to sign up for the program if they want a cut of the subscription revenues, and those payments will not be retroactive to users’ past contributions, VentureBeat reports. In other words, publishers will be throwing money away by not signing up—a point Flattr Plus intends to make as it starts reaching out to websites. Flattr already offers a micropayment service for websites, but it requires users to press a button for every site they want to back. Flattr Plus is meant to eliminate that last bit of friction. As for AdBlock’s role, the plan is to eventually integrate Flattr Plus with the existing AdBlock extension, which has more than 50 million active users. Flattr Plus is launching in beta early this summer, and will support publishers who already work with Flattr. During the beta, Flattr will figure out how best to measure engagement in a way that factors in more than just page views, all while trying to get more publishers on board. Users can currently sign up to get notified when Flattr Plus becomes available, and publishers can express interest by filling out a form. The extension should be available globally by the end of this year. The story behind the story: Flattr Plus is yet another stab at making web publishing sustainable in an age where more users are blocking ads (arguably for good reason). The subscription allocation approach is also being attempted by Brave, a new browser from Mozilla co-founder Brendan Eich, while others such as Google and Facebook are simply trying to make ads more tolerable. AdBlock Plus itself has contributed to these efforts with its “Acceptable Ads” whitelisting program—which requires large publisher to pay a fee—but is now looking to monetize in a way that seems a little less like extortion.